This simple recipe for Chocolate Cakes, or Fairy Cakes as I like to refer to them, for me is another baking essential. Once you have mastered this recipe you can use this as a base to add additional ingredients such as glace cherries or chocolate drops, or pimp your cake up with fancy decoration. add a spoonful of the flour/cocoa powder (this will help prevent the mixture from curdling) and mix. To create my Black Forest Inspired Cakes, I used my basic chocolate fairy cake recipe, topped with a rich vanilla bean paste butter cream, flaked chocolate and homemade damson jelly. These Black Forest cakes were made for my mums 70th Birthday celebrations earlier this year. I hope you enjoy them as much as I did. If you should every have any leftover, pop them in the freezer to keep for another time. I always make batches of butter cream in my food mixer. It helps the butter cream to achieve that white look. Beat the butter until soft and lump free. Gradually add in the icing sugar, on slow speed. Once all combined add the vanilla bean paste and mix through. Now turn up the speed for 3 to 5 minutes. You may need to stop and scrape down the bowl. Pipe on the butter cream or use a small palette knife, leaving a small dip in the middle for the damson jelly. Crumble some flaked chocolate onto a plate, at an angle and using a rolling action coat the butter cream with the chocolate. Finish with a small spoonful of the damson jelly. 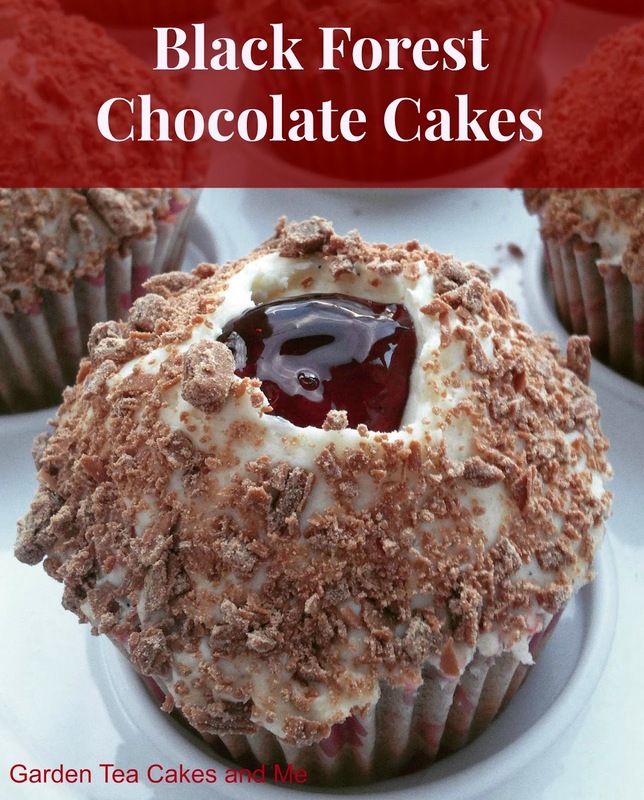 I am entering my Black Forest Chocolate Cakes into May's Treat Petite Challenge, hosted by Cakeyboi and Baking Explorer with a theme of Eurovision Countries which of course will be Germany. 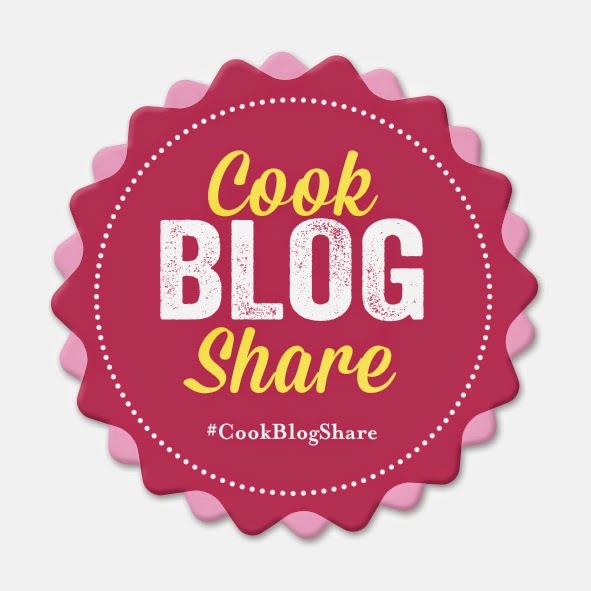 I am also joining in with Cook, Blog, Share at Supergolden Bakes. They look so pretty and tempting! I have some black cherry jam in, so may just have to get my pinny on! These little sweeties look delish! Yum! Angela, thanks for representing Germany in Treat Petite Eurovision . I love how you have taken a 'simple' recipe and pimped it up. I love the addition of damson - divine!! Oooo these sound and look delicious. I particularly like how they are so simple to make - my favourite type of bake!